To feast your eyes upon such a creature underwater is enthralling in of itself to any diver. Equal to the infamous Whaleshark in regards to rarity, it is a “must see” of the underwater world. In certain, very hidden places the creature saunters about its world disguised as a violette coral ready to swallow whole fish in a mere instant. 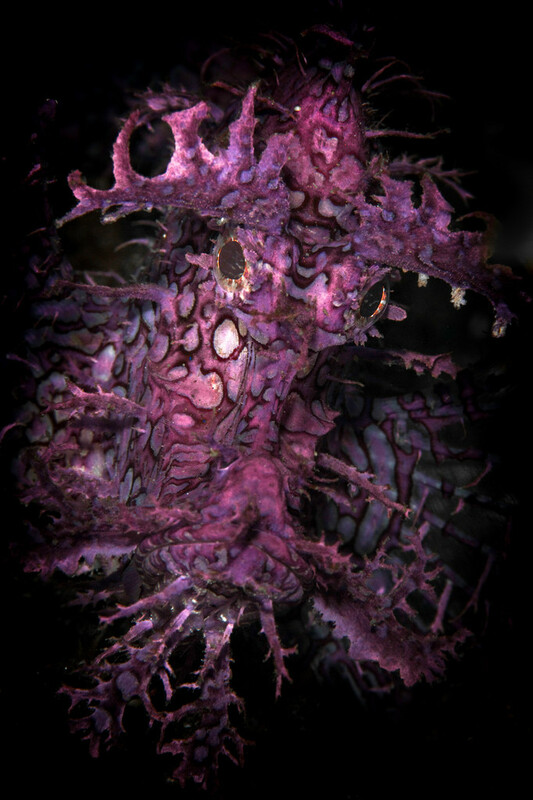 The ocean floor is his domain and being highly active, it is quite difficult to capture this frayed fellow in a manner that distinguishes his features. After many a dive, I succeeded to finally portrait this enigmatic critter. The picture captures an amorous look, which lends its own blend of magic to the art. If you are living in a country of the European Community,please visit our EU gallery.